Our Burnaby location is on East 1st ave, just off Boundary Road right next to Star Tile. Be sure to come to our front entrance, as opposed to the warehouse entry at the rear of the building. 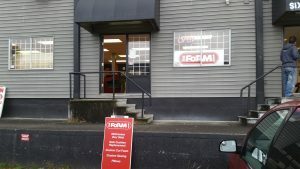 Our front parking area is directly across the street from the intersection of Esmond and East 1st Ave.
Our Burnaby location is connected to our central distribution and warehouse, making it the go to place for commercial orders. 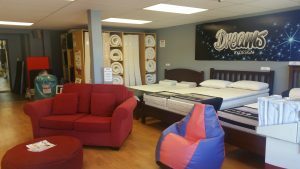 Home to the largest in stock inventory of comfort products in BC.